Josh: "I can't wait for fans to see the tracker jacker scene"
Celebuzz pratade med Josh på People's Choice Awards röda matta igår och han avslöjade en scen han verkligen ser fram emot: scenen där [spoiler!] några tributes blir dödade av tracket jackers. Läs mer nedan. Josh Hutcherson talks "insane" tracker jacker scene in "Hunger Games"
It's a star-studded affair at the People's Choice Awards, and the star of "The Hunger Games" just dropped a little gem on Celebuzz, as Josh Hutcherson gave us a little scoop on a scene he can't wait for fans to see in the film. 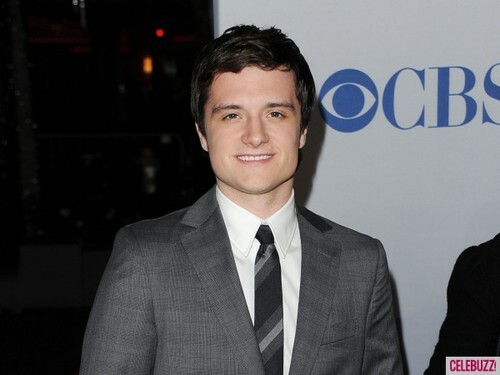 "I can't wait for fans to see the tracker jacker scene," a smiling Hutcherson told Celebuzz as he made his way down the red carpet of the 2012 People's Choice Awards. "The make up is incredible. The scene is insane," he continued. Funny he should say that - our latest 100 Days of Hunger Games video declared that as one scene we're dying to see! Hutcherson, who will be appearing with his Hunger costars Jennifer Lawrence and Liam Hemsworth during the People’s Choice show, said that he was beyond excited for the big debut of the trio. "I can't wait for the fans to see us all together for the first time. It's all of the characters together in the same spot!"